Guilt for a despicable and immoral act forces Alan Davies into a life of crime and violence and transforms him from an innocent sixteen year old boy into a merciless, yet sympathetic, protagonist who dispenses brutal justice to those he holds responsible for the death of his sister and destroying his life. Alan Davies, a naive and vulnerable teenager, is tricked into committing an immoral and abhorrent crime. Riven by guilt and remorse he runs, but he can't outrun his conscience. For twenty years, Alan tries to silence his conscience with alcohol and drugs as fate and chance propel him in to the dangerous world of smugglers, nationalists, guerrillas, and mercenaries. 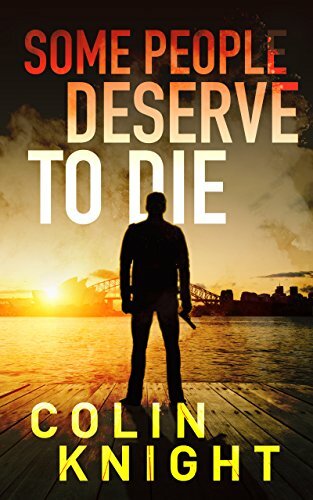 Battling alcohol and drug abuse, Alan dodges death and betrayal as life erodes his humanity and transforms him into a merciless killer until, used up and spent, he returns home. Destitute and dysfunctional, a street scuffle brings him eye-to-eye with the men responsible for his heinous crime. Harnessing skills and cruelty learned through a crime and violence-laden life Alan seeks justice for himself and his victim. But when justice has been served, Alan discovers the devastating truth about his crime, his family and himself.